One of the main Japanese newspapers “Asahi” started a serial ” Yoshida testimony” , an interview about Fukushima disaster with Mr. Yoshida who was a plant manager of Fukushima Nuclear power plant when the accident happened. He passed away in July 2013 by his cancer. He was the plant manager during the Fukushima Daiichi nuclear disaster, where he played a critical role by disobeying corporate headquarters orders to stop using seawater to cool the reactors. According to nuclear physicist (and co-founder ofString field theory), Dr. Michio Kaku, the decision to use seawater arguably prevented a much greater disaster. On 12 March 2011, about 28 hours after the tsunami struck, Yoshida and other TEPCO executives had ordered workers to start injecting seawater into Reactor No. 1 to keep the reactor from overheating and going into meltdown. But 21 minutes later, they ordered Yoshida to suspend the operation. Yoshida chose to ignore the order and ordered the plant workers to continue. 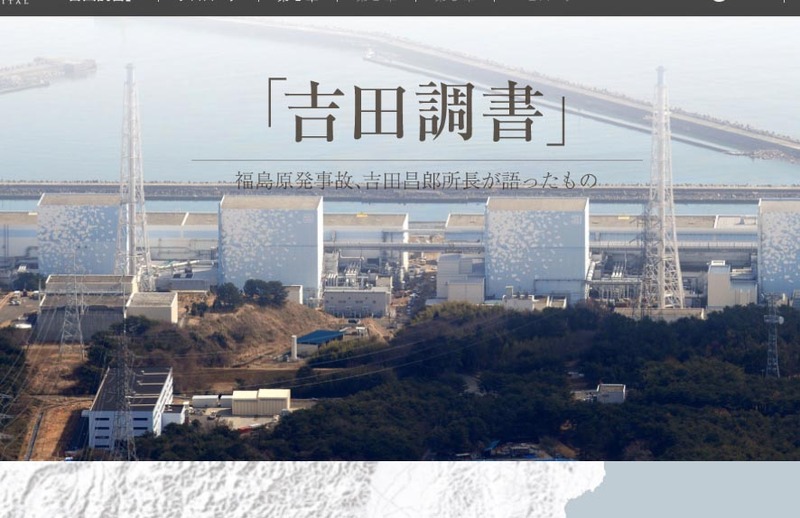 At 20:05 JST that night, the Japanese government again ordered seawater to be injected into Unit 1. The week of 7 June 2011, TEPCO gave Yoshida a verbal reprimand for defying the order and not reporting it earlier. Yoshida was diagnosed with esophageal cancer, which was determined by TEPCO to be unrelated to the nuclear accident, due to the rapidness of its onset. He retired as plant manager in early December 2012. He underwent an operation for the cancer and later suffered a non-fatal stroke. Yoshida died on 9 July 2013. He was 58 and is survived by his wife, Yoko, and three sons. “If Yoshida wasn’t there, the disaster could have been much worse”, said Reiko Hachisuka, head of a business group in Okuma town. Former Prime Minister Naoto Kan tweeted a tribute, “I bow in respect for his leadership and decision-making”. The Asahi news paper caused several scandals in 2014. One of them was around this article ” Yoshida testimony”.